If you have been looking for a Wifi enabled slow cooker, check this deal out! You can get the Crock-Pot Wemo Smart Wifi-Enabled Slow Cooker, 6-Quart for only $83.99! 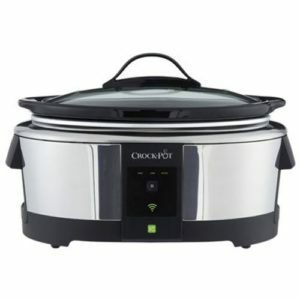 You will be saving 44% on this purchase because this crock-pot is normally $149.99! Make sure that you grab this deal soon because the prices can change at anytime on Amazon! CLICK HERE TO ORDER the Crock-Pot Wemo Smart Wifi-Enabled Slow Cooker, 6-Quart for only $83.99 today!